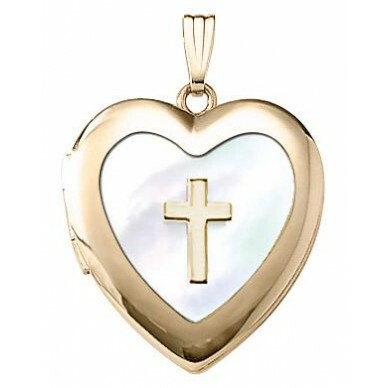 This is a great locket made of genuine mother of pearl and accented with 14K gold. The locket itself is 14K gold filled. It measures 3/4" across and can hold one picture. 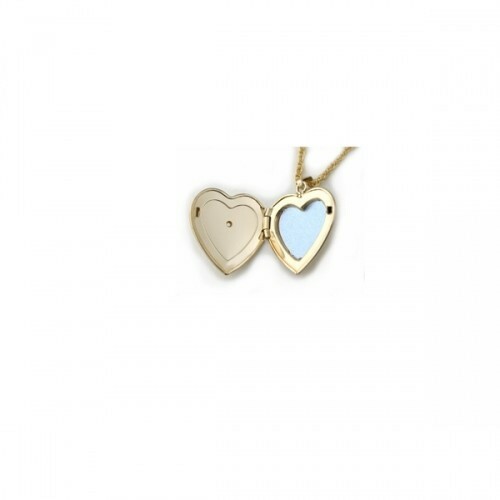 This locket is packaged with a 14K gold filled rope chain that is 18" long, boxed and with a lifetime warranty. Made in the USA. 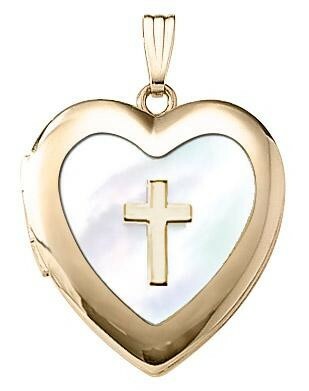 This is a great locket made of genuine mother of pearl and accented with 14K gold. The locket itself is 14K gold filled. 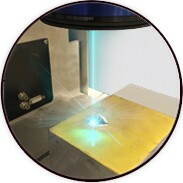 It measures 3/4" across and can hold one picture.